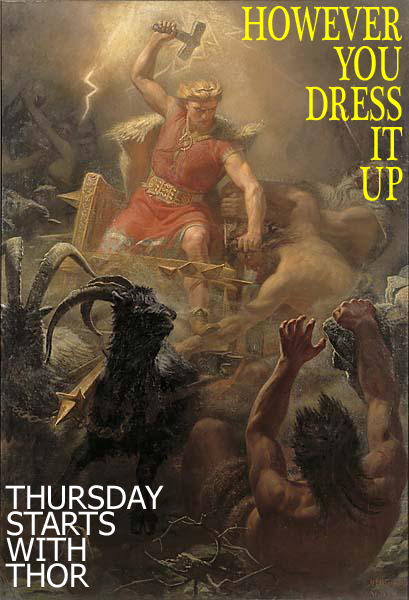 For both there is an etymological root linking a supernatural figure to the name of a day – it’s very common, just think of other supernatural figures that lend their names to days, like Tiw, Wodin and Freyja. I wonder if we should also remember these deities on their appropriate days? That seems to be the logical implication of the Christian advert. But then, what should be done about Easter? 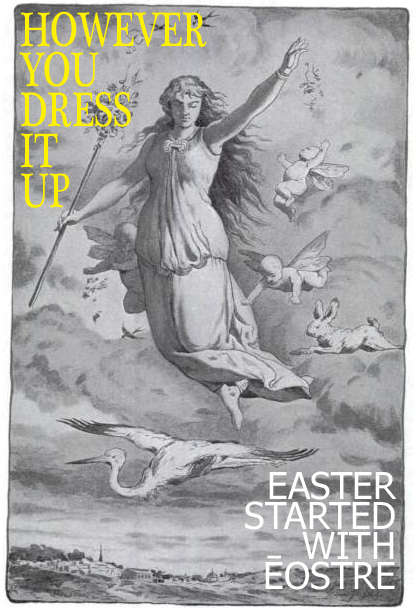 Maintaining the logic of the Christian advertising around Christmas, it would seem that we should remember that Easter is named for the pagan goddess Ēostre. This seems doubly reasonable since there is hardly any difference between the Christian celebration and the Pagan fertility festival, with all it’s rampant rabbits and eggy delights. The fact is that by following the logic of the advertising we should either be utterly ignoring the etymological root of Christmas, as we do for Easter and Tuesday, or we should be acknowledging the etymological root for all days named after supernatural beings. 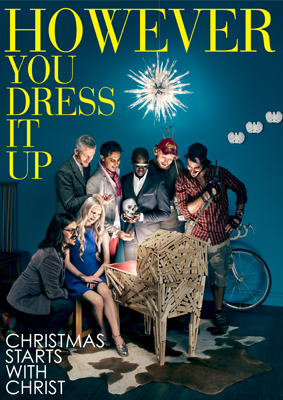 Christmas may well start with Christ, but why is the guy holding a skull? In the bigger poster it’s easier to see that the skull is diamante. I guess that Damien Hirst was unable to attend the birth of little baby Jesus, but he did manage to send a present. Makes me want to start celebrating THORday!